Screen printing is a technology that has withstood the test of time! 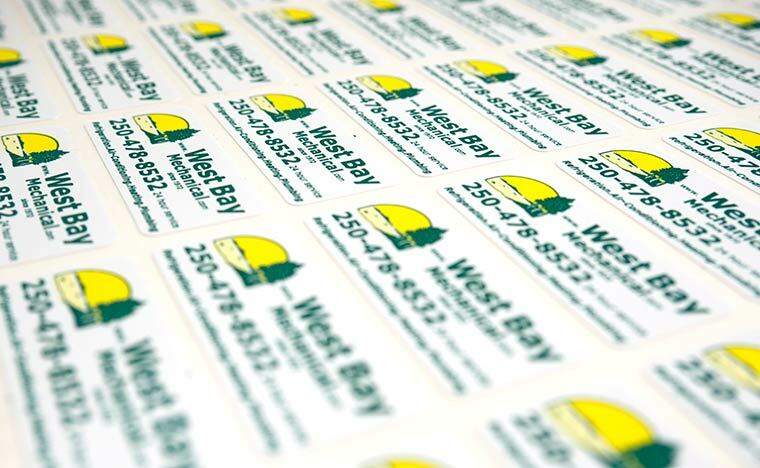 For decades, screen printing has been the go-to resource for long term outdoor sticker/decal applications. Even today, with all things gone digital, there is still a screen print advantage in economy & durability. Large run, 1 or 2 colour jobs are more economical than full colour digitally printed jobs. 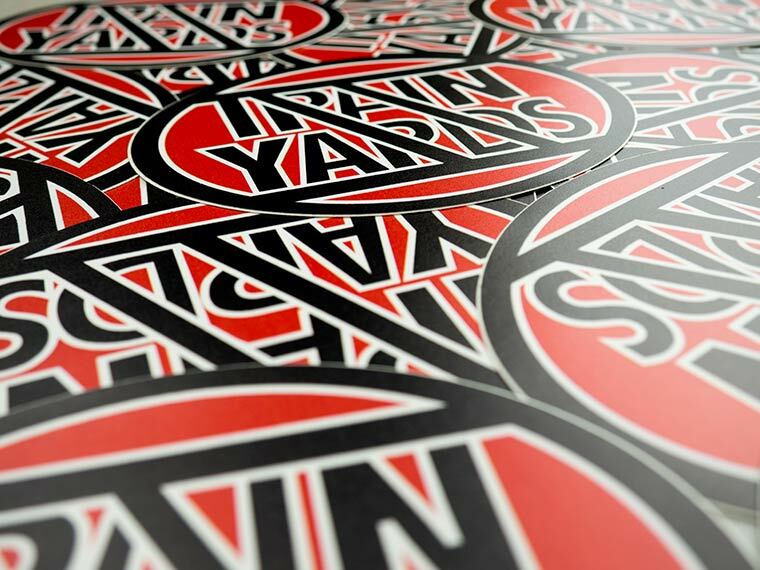 Screen printing remains the most durable technology available for producing stickers with exteneded longevity. Depending on choice of materials and ink, screen printed products can have an exterior longevity of up to 9 years. 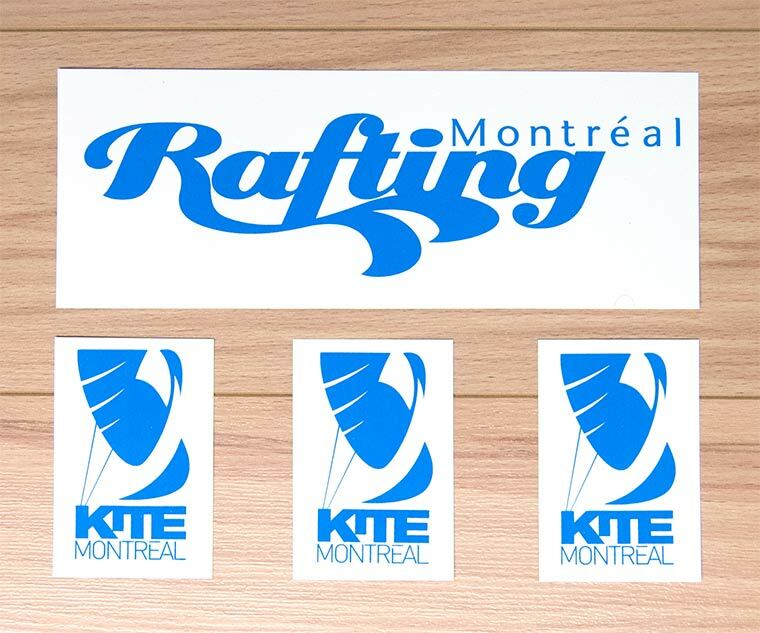 All screen printed decals are waterproof and UV resistant. They do not need a laminate to extend their lifespan (unlike digital and flexo printing). 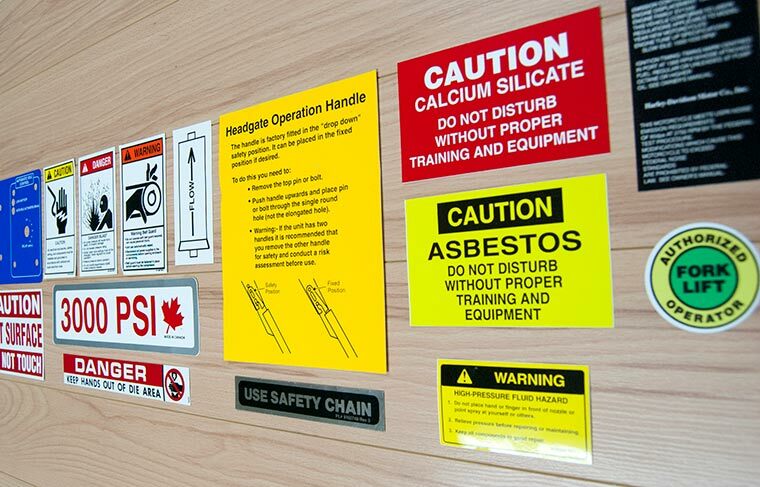 Laminating screen printed stickers is only required for extremes of abrasion or chemical resistance. 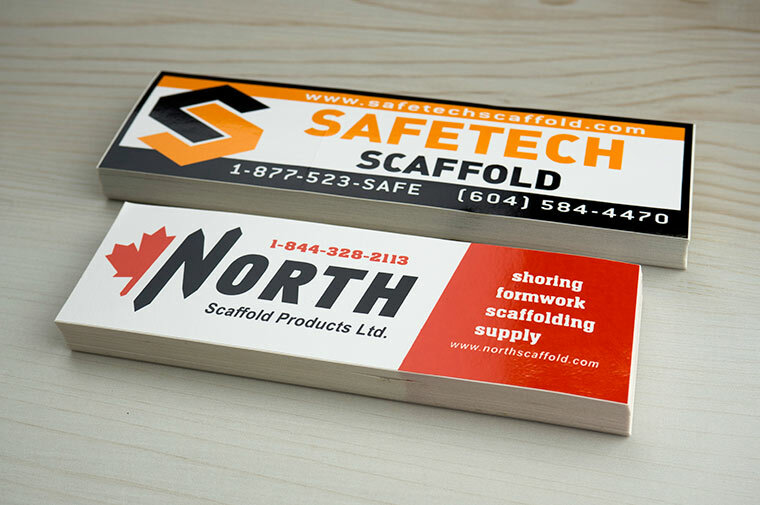 At CSK, we have over 40 years experience with screen printing. In fact, we got our start as a screen printer in the way-backs of 1977, under the name Omniscreen Ltd. Regular Gloss or Matte Lam. Higher volume printing is cheaper than the digital alternatives for 1 and 2 colour jobs. 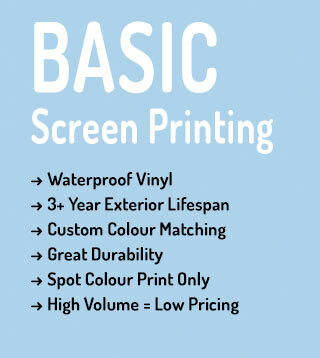 Screen Printing is a fast printing process. Screen Printing inks are significantly cheaper than digital. Spot colour printing only. NO halftones or gradients. 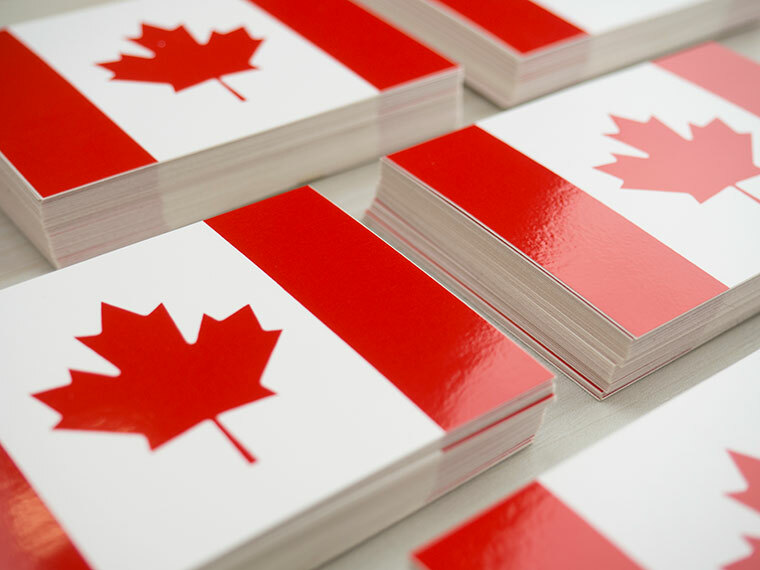 CanadaStickerKing uses UV curable inks. 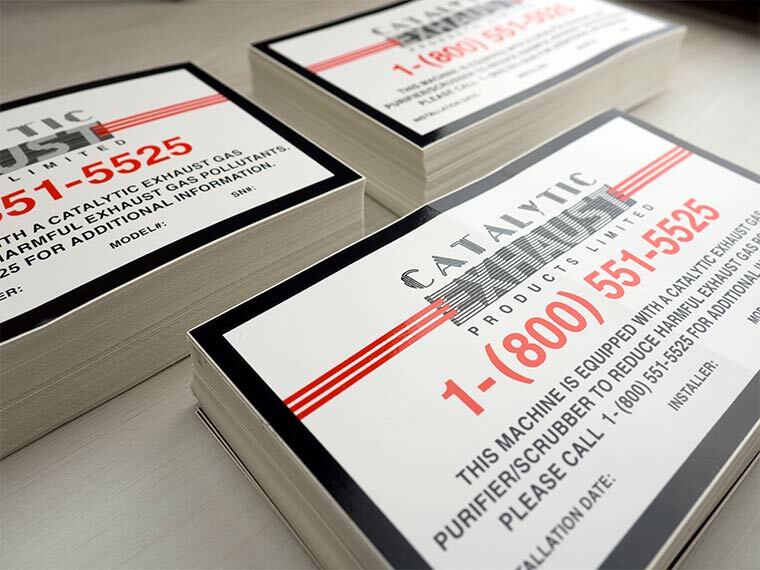 Unlike conventional solvent-based screen printing inks, UV curable inks are cured by ultra-violet light (not ultra-violent! ), and emit no VOCs. Uncured, a gallon of UV ink will never dry, even with its lid open! Might evaporate eventually, I suppose. The screen printing process produces the thickest ink deposit of all printing technologies. This is the key to their extended durability and UV resistance. Under a microscope, screen printing ink produce a deposit that is 15x thicker than an inkjet print!